The 25 year old singer, songwriter, producer and budding Entertainment Consultant, born Marcus Braveboy a.k.a Mark Hardy was introduced to the world of music and entertainment before he could even speak his first words. Born in Trinidad and Tobago to a Television Producer/ Musician father and music enthusiast mother, there was never any doubt that music would be a big part of his life. His career started at a very young age and ranged from performing at local concerts to winning “Best Instrumentalist” on the local “12 and under” television programme in 1997. Education then became a main focus, but in 2001 he formed the group “Breathless Krew” with two of his childhood friends. The group began making parodies of current radio hits and created a CD entitled “Roti Gold 2001″ . The CD got the attention of local producer Ken Holder who guided the group musically and co-produced their first single entitled “The Breathless show”. This experience allowed Hardy to showcase his talent as a beat maker/music producer and the following year he co-produced the group’s second single, “Today is Mine” with Dean Williams and Nigel Brizan. “The Breathless Krew” went on to make appearances at “Youth Fest”, “Soca Monarch Preliminaries” as well as television appearances on “Live” with Lisa Wickham and “The Vibe”. The group disbanded in 2004 when members left to further their education. Mark did his thing on the Miguel ft. J.Cole All I Want Is You. 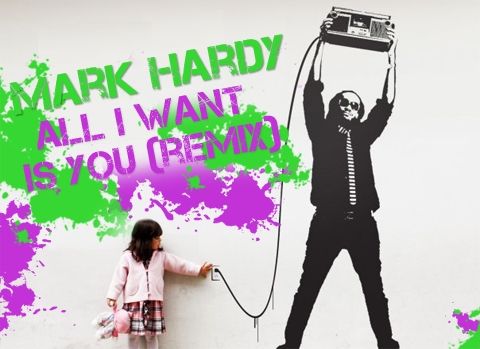 Here Mark Hardy infuses a Reggae flow or chat over the song that gained great momentum last year. Do watch all the way through. We hope there is a part 2 on the way because Jah know this was short!!! Currently a final year law student, Mark aspires to combine his formal education and his experience in artiste management and music licensing together with his passion for entertainment in order to do his part in raising the local and regional industry to a much higher standard of operation. As a solo artiste the sky is the limit for a man of such “few words” but “many talents”. We look forward to seeing what the future holds for Mark Hardy, because from what we have heard and seen thus far…it appears to be bright.